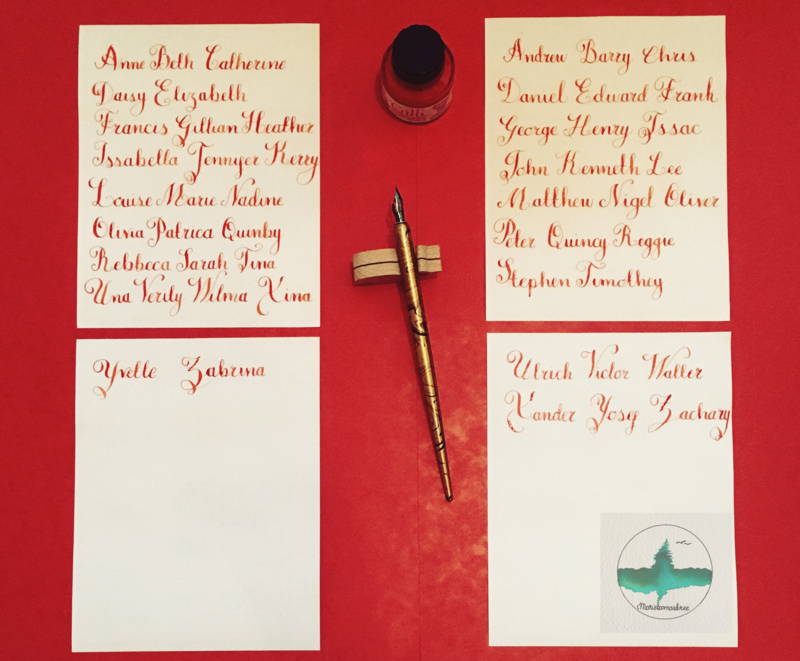 I’ve had another Calligraphy Breakthrough! 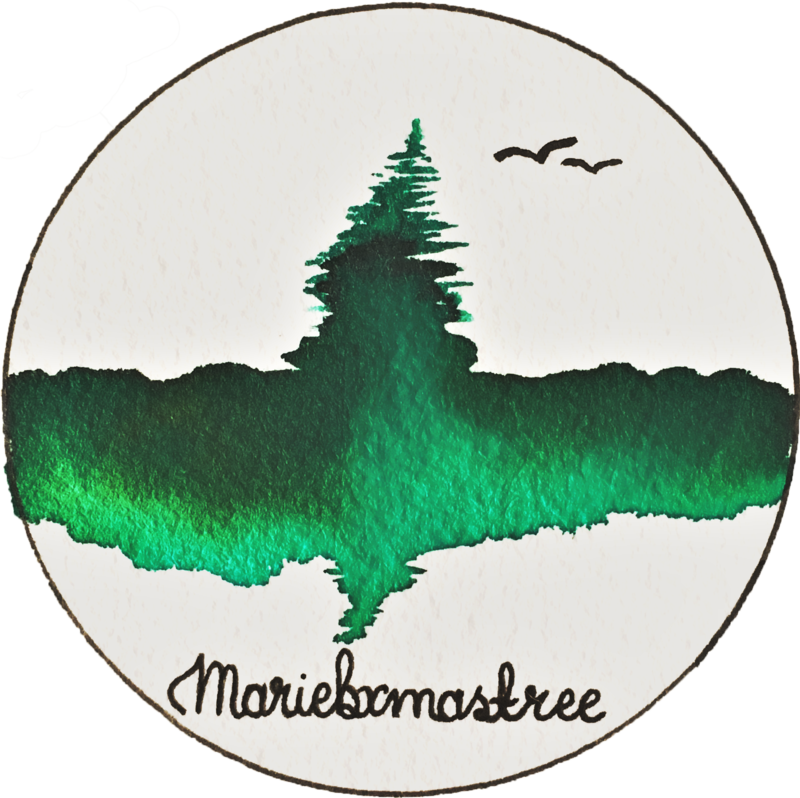 So I sat down at my craft desk again today and after making a few Christmas cards (of course 😂) I decided to practice my calligraphy. I recently bought a Speedball Calligraphy pen, mainly for the different types of nibs to be honest 😁. 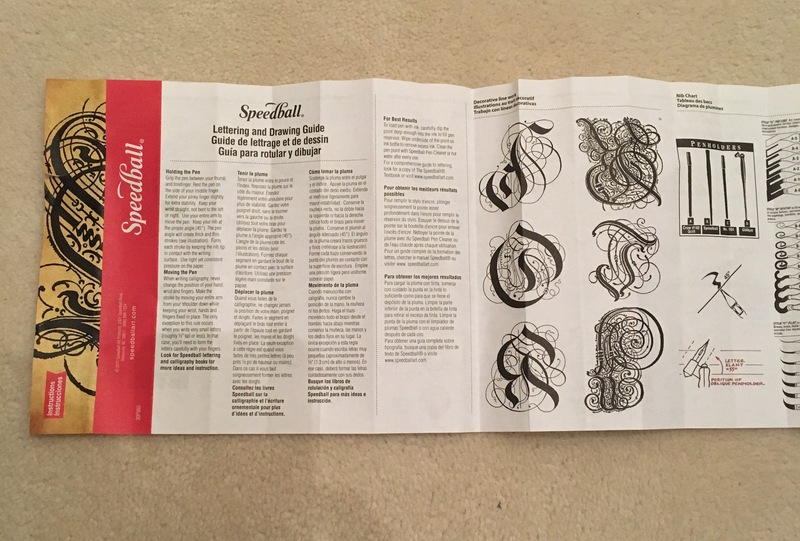 Included in the pack was a sheet of instructions and included on this sheet was a Copperplate script guide. 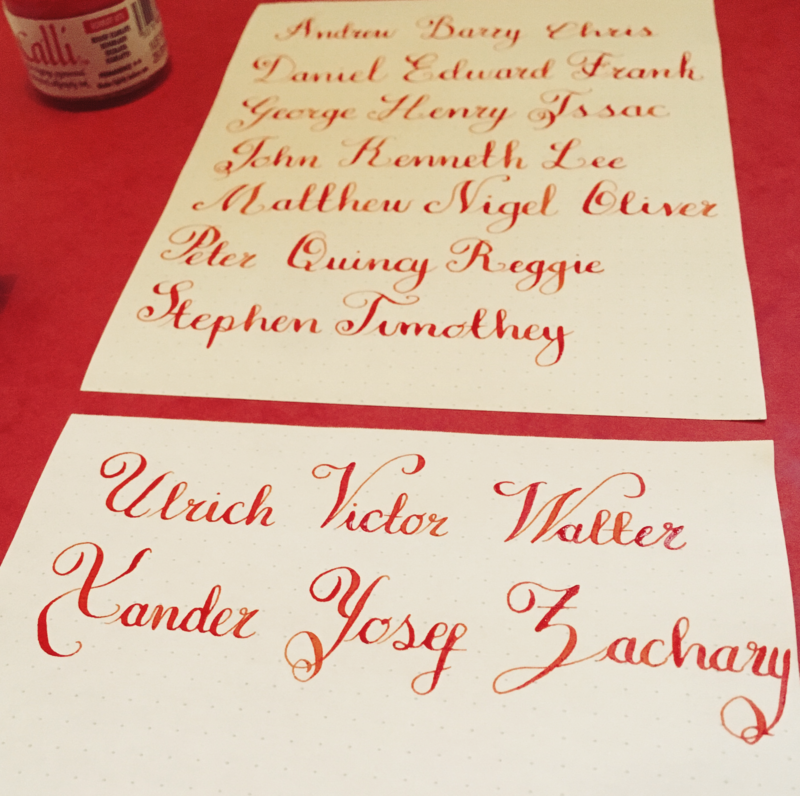 Copperplate script is my favourite calligraphy so far, I love how it flows and how professional it looks. If you have read any of my previous calligraphy posts you may remember that I struggle with certain capital letters: M, N, I, J & sometimes Z. So today I thought I’d try using the sheet for guidance. I’m really pleased with how this practice went. I feel like I have made some real progress. I really do recommend writing out names to practice with. Maybe film titles, songs you love or places you’ve been. As long as you cover each letter of the alphabet. For today’s practice I used my Brause no. 361 nib in my straight pen holder. 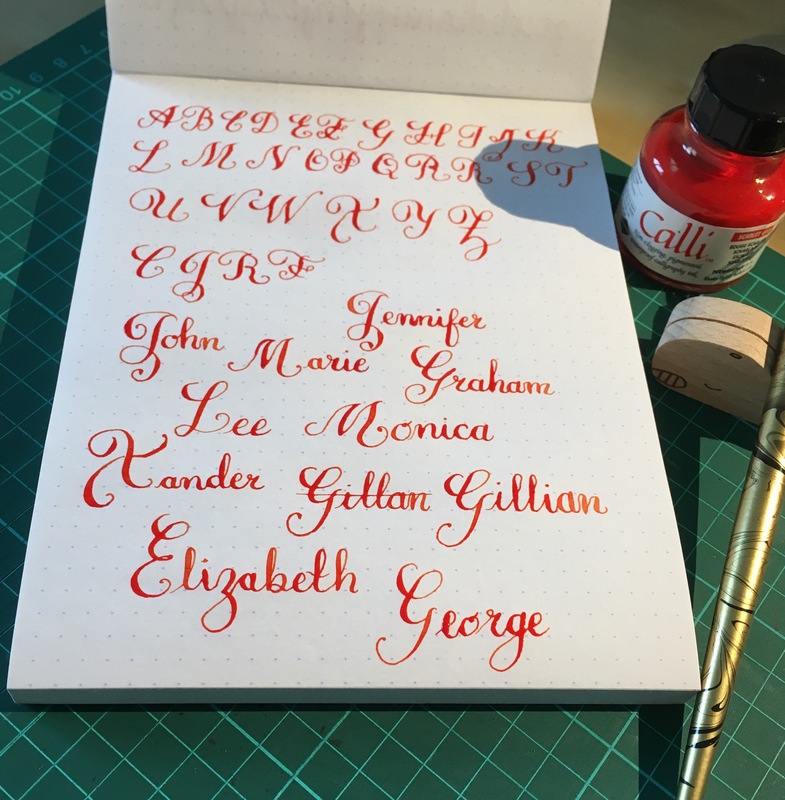 The red ink is calligraphy ink by Daler-Rowney. The paper is A5 ClaireFontaine dotted sketch paper, 90gr. •Disclaimer- I have used these products as I have bought them for my own use, I have no links to the brands mentioned. What text do you use to practice with? I’d love to hear if you have any hints or tips. 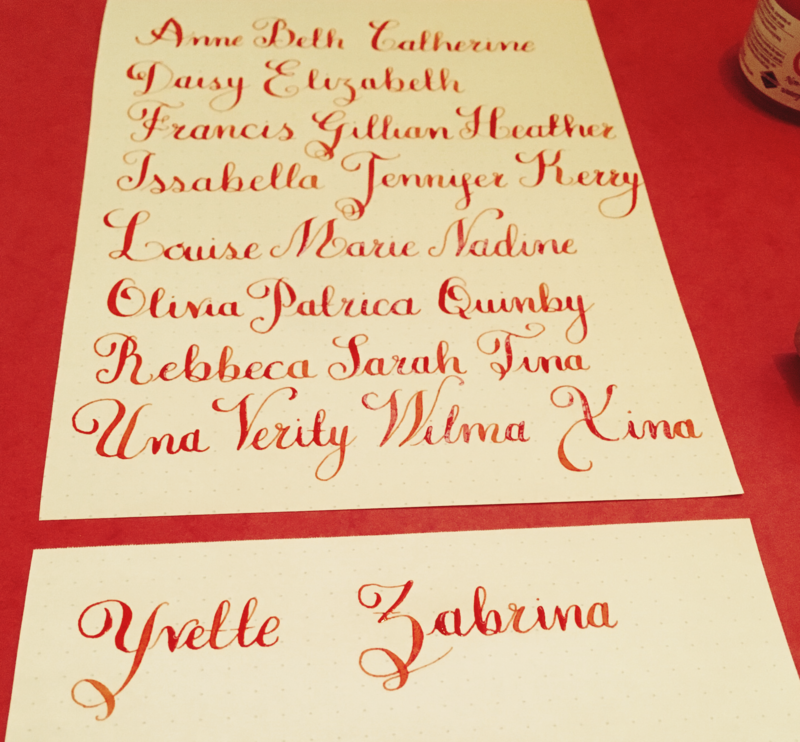 I’ve procrastinated with practicing my Calligraphy. 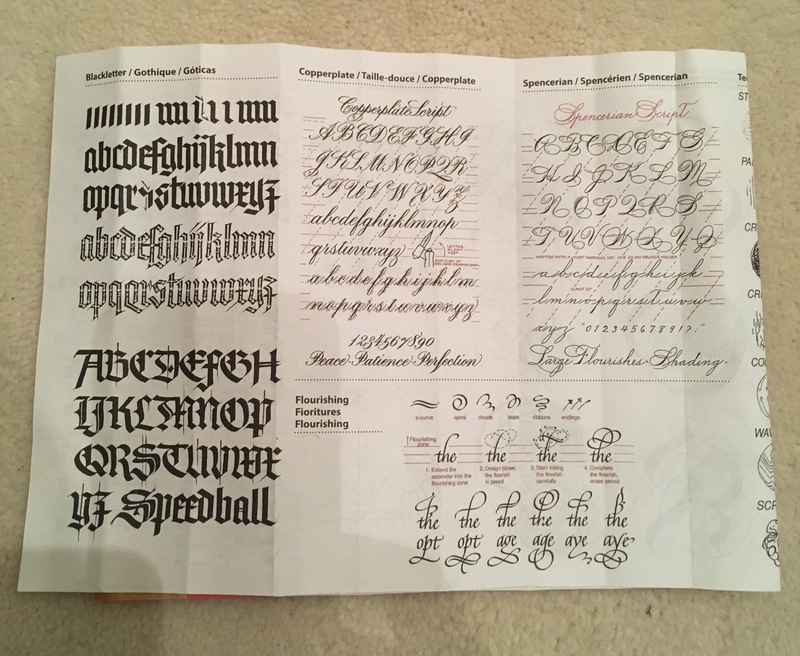 I started out so excited and ready to master it and now I’ve died down even though I still have the desire to learn it.